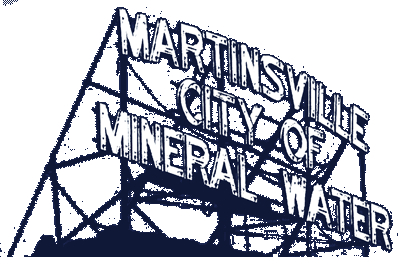 With City officials learning Martinsville’s city code related to building numbers is outdated, the following is correct information from the Fire Prevention and Building Safety Commission: approved address and building numbers or approved building identification must be placed plainly legible and visible from the street or road frontage fronting the building. Numbers should contrast with their background to aid in visibility. Address numbers must be Arabic numbers or alphabetical letters, with numbers a minimum of four inches high with a minimum width of a half inch. While the specific requirements needed correcting, the reasoning behind buildings being numbered remains unchanged. According to Building and Planning Inspector Brian Love, buildings must be accurately and appropriately numbered most importantly for quick identification by public safety personnel in the event of an emergency. Residents could save their own lives by properly displaying the numbers, with reflective numbers recommended. “Having your home or business properly identified with the accurate numerical address satisfies an important responsibility of being a property owner. We appreciate everyone’s cooperation in making sure their house and other properties are in compliance,” Love said. For questions or interview requests, contact Love at 765-349-4923.